Ah ha! You probably thought that the Burnetts, like all those other fly by night blobbers, had just disappeared. Not so loyal fans. We have just been overwhelmed by unpredictable events. David had some minor surgery, which in our family is never minor. A "procedure" is never minor. It's kind of like a "pause". How to explain? A “pause" can be anything from a tooth ache to a heart attack. But it's never acknowledged as something serious. Hence, a "pause". And hence a "procedure". Where exactly did the word "hence" come from? It has kind of a silly sound, like a chicken and a fence had a run in and .... Hence. Anyway David is fine. We are producing three shows of “Gefilte Fish Chronicles - the Musical” in three different venues. The first was home territory in Newburgh at the Just Off Broadway theater. It was an amazing production and for the first time we realized that we have a Broadway quality show. Everything just came together. Music, book, actors, production team. Our next production is in Wayne NJ at the Rosen theater, which is at the YMCA/YWCA/JCC. It is our hope that all our Jersey friends will come and enjoy 90 minutes of laughs, tears, song, and frolic. The show is about the power of family — every family. Wednesday, May 28 7:30 pm. So there's that. And just a few crises which are not worth mentioning because like a pause, and a procedure, they were nothing that requires anymore time than we've already spent. It's All About Me. I Mean Her. I Mean Him. “I’m available,” I said. And thus started the intricate web of making the first set of pictures of Monica which were not centered around a big SUV. 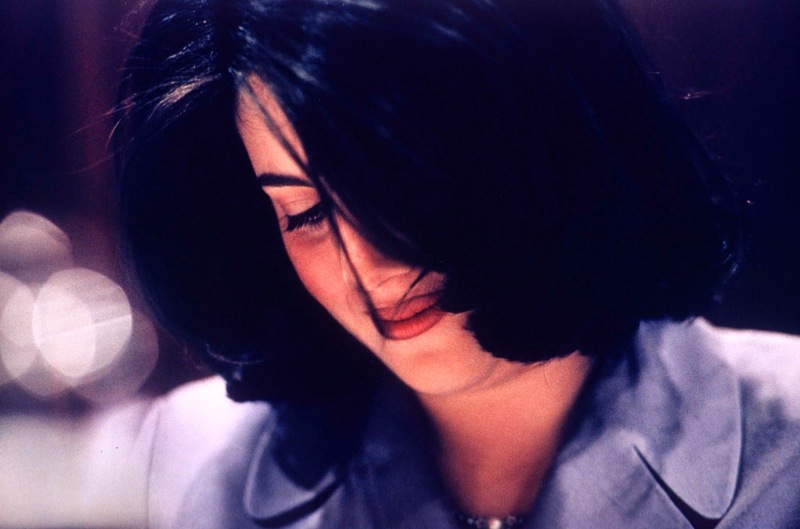 I was to meet up with TIME bureau chief Michael Duffy, and at 6pm Saturday evening, we would meet with Monica and her lawyers at Morton’s, the trendy Steak house on Connecticut Ave. Michael and I met about 6, huddled in a corner of the bar, sipping ginger ale and waiting for our subjects to arrive. As it happened we each had people coming to our houses for dinner, and we were both worried, though not greatly, that Monica would find us so charming that she would invite us to stay for dinner. About 630 we saw a flash of police lights in front of the restaurant, and a minute later Monica and her entourage walked thru the darkened hallway to a small private room. I’d been advised to bring just one camera, no flash and be very low key. Well of course as a professional I brought what I needed: 2 cameras and one flash. But I was pretty low key. We walked into the private dining room, and everyone was introduced. TIME had agreed to certain ground rules — because of the legal issues, no direct questions about the President. Instead it was to be a look at this young woman, who SHE was. The conversation started and was very easy going. “You don’t mind if I shoot a few snaps?” I asked, and everyone nodded ok. It was a dark paneled room, very spotty over head lights, and it was a real challenge to shoot, but one makes the most of what one has. A few minutes into the session, Monica picked up her “Cosmo” in a sleek martini glass, and started to take a sip. Her hair cascaded down over her eyes, and for one brief moment all I could see was the glass, her lips, and the outline of her face. To me, that was the picture, the mystery picture of the mystery woman. After a long half hour, it was clear our time was drawing to a close. Michael and I packed up, said our good-byes, and headed back to our respective homes, where a number of Washington friends, talking about little else than THE Scandal, carried on with the two of us remaining totally tight lipped. Sometimes you have to keep a Scoop to yourself. The atmosphere while we were there was quite upbeat, although Monica did complain about how her life had all of a sudden be come so untenable, and her inability to go out in public was a rather large inconvenience. Perhaps the most astonishing thing about our interview was the realization that for Monica, the most important thing about the scandal was what it had done to her. It was as if she didn’t understand, or care, that the entire US government was at risk of crumbling, that the whole direction of the country was in, as it were, her hands. It was, perhaps, that short-sightedness which seemed to mark her reactions to the scandal and which seemed to be almost otherworldly. You just wondered if you were living in the same country, at the same time and place, as she. Over the next few months the pictures would slowly be used in the ongoing Monica saga. But it wasn’t till the end of the year that LIFE magazine actually ran my “Cosmo” picture. My favorite shot, as often happens, had a tough time finding a home. Once published, it became “the” picture. Sometimes it just takes a picture being seen to make something real out of it.